I have written about this before (here and here) but now that I am training for a race but don’t have a time goal for my next marathon, I have a bit of a different perspective. 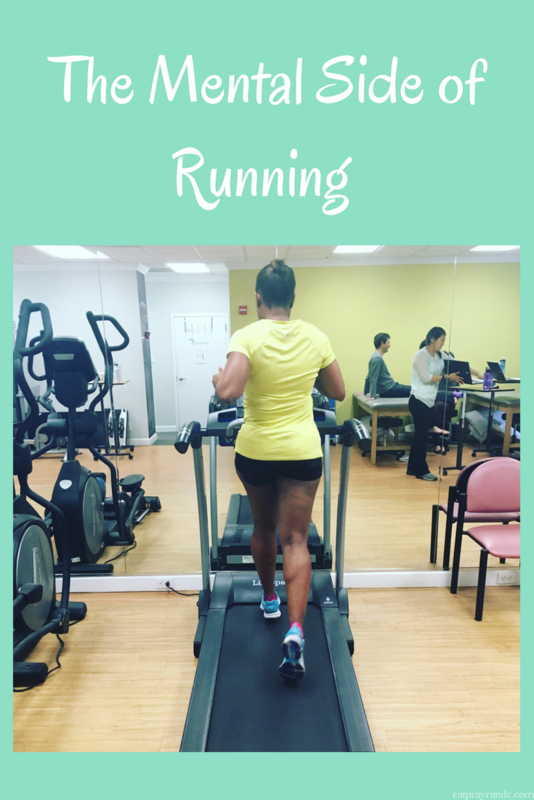 In case you missed it, I am currently training for the New York City Marathon. I’m actually fundraising for a fantastic organization, Team for Kids, and if you are interested in learning more or donating (thank you!) you can do so here. I’m running NYCM as a part of my goal to run all the Marathon World Majors. As such, I’m not running it for a goal time. Not chasing a goal time in a marathon is unfamiliar for me. It’s made me really hone in on my mental game. Since I’m mostly training to have a strong race, not a PR it means that I have to constantly remind myself that the work in training is worth it because it really is fundamentals. I was a bit worried that I’d slack off when I was not training for a time goal. But so far, I have really been enjoying this training cycle. If you know me at all, you know I’m a huge Alabama football fan. I’ve been watching this training days series on ESPN and one of the things Coach Saban says repeatedly is “what is your breaking point?” I think this is applicable to so many things, including running. I have hit a breaking point in each marathon training cycle and in each marathon I have ever run. I am hopeful that because my head is not so focused on a particular time, the lack of pressure that comes along with it will allow me to really increase my mental strength and go into the race feeling good and feeling strong. I am frequently working on my mental strength but I know that the mental side of running is something I can always be working on. I think I have come a long way, but still sometimes have to deal with self doubt. I am excited to see how having a better mindset translates into race day. Even without a specific time goal, I think I will have a much more enjoyable experience and hopefully I will be able to take that and translate it into a better race when I am actually racing for a goal time. Tell me, how do you deal with the mental side of running? Side note: I’m reading Kara Goucher’s new book Strong and I highly recommend it if you are trying to work on your mental game. You have come SO far. Love seeing the journey and can’t wait to see how NYC goes with this attitude! I’m interested in your thoughts on this after the race to see if it worked for you. Even when I’ve not tried for a time goal in a marathon it’s still always in the back of my head and it steals some of the joy of things. You hear all the time of people “accidentally” PRing their marathon when they weren’t even training to. When I line up this is always in the back of my mind and when I don’t I’m upset. I sometimes wish I’d never started trying to achieve marathon time goals because once you get that idea in your head it’s hard to get it out. If there’s time over the weekend I’d love to hear your thoughts in person on this. Interesting. I hear what you are saying but I have been feeling so relaxed that I think if I have an unexpectedly great race time wise, it will be at least partially due to my relaxed attitude. I’m just seeing this – wish we could’ve chatted about this at camp!